If you have a job or little ones to care for, you need good sound sleep. Interruptions can occur at any time during the night. Your child can wake you. You might have to go to the bathroom. Your sleeping partner can wake you for any number of reasons. How do you get back to sleep under these circumstances? This method will help you get the sleep you so badly need to get you through the day. The first thing to understand is that nothing is wrong with you. Your brain does not have a defect. The problem is that when you were born, you didn’t come with a user’s manual, and you didn’t get the chapter you should have gotten on how your mind works. It would have had a special section on sleep. In all probability, you don’t need medication. What you do need is a little help controlling the way your mind functions while negotiating hypnagogia, that gray zone between being awake and being asleep. If you have been lying awake at night waiting helplessly for sleep to come, it is time you went on the offensive. Little or no rigorous research has been accomplished on techniques to direct the mind to enter sleep. Sleep research has been predominantly performed, or at least paid for, by pharmaceutical companies interested in developing medication to make the subject unconscious. I wouldn’t doubt but what there is a conscious effort on the part of pharmaceutical companies to steer research away from thought-directed methods of getting to sleep in favor of researching drugs to get us into a state that simulates sleep. These drugs usurp the natural processes involved and do not achieve the same result as the patient actually being asleep. If the general public found out that it is possible to cure severe, long-time insomnia with a simple thought-directed procedure, it could put them out of business. You could resort to psychotherapy to resolve issues that flood into consciousness and co-opt the process of going to sleep, but these deep-seated emotional problems are not even necessarily the problem. Therapy can take years and have mixed results. It also can make matters worse. An online search will reveal many methods for producing an environment conducive to sleep and even some superficial methods of tricking your mind into going to sleep. My guess is that none of them work reliably for you, or you wouldn’t be reading this. 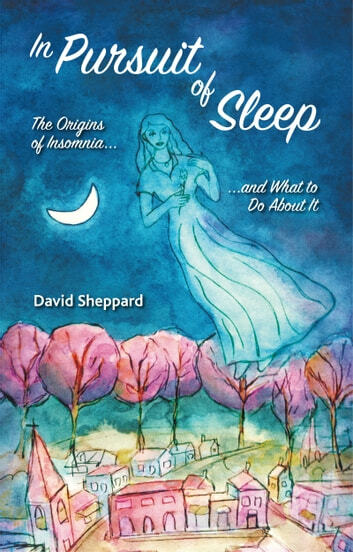 What is presented here appears to be the first serious research into methods to direct the mind along a path into sleep. Hopefully, this book will prod sleep professionals to research directing the mind toward sleep. Perhaps then, the world of the sleep-deprived can actually do something about insomnia without resorting to drugs. Waiting for sleep is such a messy and ineffective way to get where you are going. It is like standing on a corner waiting for a bus when you don’t know the bus schedule or even if a bus comes down that street. You don’t “fall” asleep. Gravity is not the solution. Sleep doesn’t come get you either. Sleep is waiting on you to come for it. I am going to show you how to go get it. The method is called the Transition Trek. It helps you steer clear of the many seductive distractions of the hypnagogic state that precedes sleep. You don’t have to change your life to get to sleep quickly. What you do have to change is the way your mind functions during the five minutes it takes to traverse the transitional state. Read this book today, use the method tonight. Regression: a Journey to the Beginning of Your (Current/Past) Life!